Truspace are changing the way design build is been performed in Toronto. 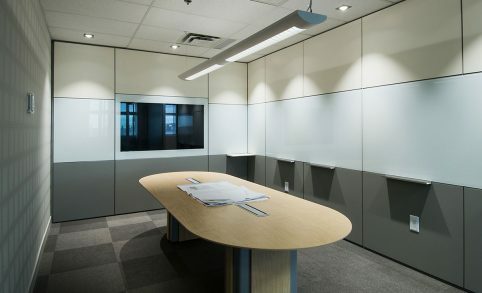 Thanks to our proven experience and process we define, design and build sophisticated work environments across Canada. We take care of every detail during the creation and build of your new space so you don’t need to. The end result is a commercial design build work environment that is not only inspiring but customized to make sure both you and your employees get their most productive work done. Our in-house team of design professionals have an extensive and in-depth understanding of how design build in Toronto can help reduce real estate costs, boost business performance and allow your company to attract and retain key talent. Regardless if you are starting from scratch or looking to make a changes in your current space, we take the time to truly understand your businesses needs and then deliver the very best solution that allows your employees, and your company as a whole, to thrive. 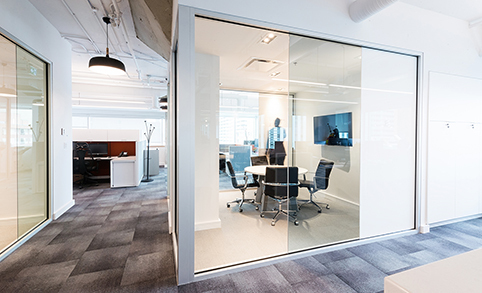 When you work with Truspace on your project in Toronto, we follow a through process that helps us to understand how your business operates and then create the ideal work environment, that keeps your staff motivated, boosts their productivity and drives collaboration. We believe that every client, every project and every space requires a unique approach. In order to do that we take the time to study how your business operates, from its needs and goals to its people and company culture in order to create a work environment that allows your company to achieve its maximum potential. Once we believe we really understand your business, we continue to work closely with you to create a design build concept that not only fits your company’s current needs, but also addresses the needs of your company in the future. Our team of in-house interior designers are experts in their fields and will work to select the right finishing touches for your space. We pay close attention to the colors, fabrics, finishes and furniture during this stage and make sure they are chosen with your preferences and budget in mind. Once you have reviewed your design concept and given us your approval, we create renderings that take you on a virtual tour of your new office space so that you can understand how the final result will look. Any suggestions you make at this stage will be added into the final concept. All the design and conceptual work that has been done up to this point is turned into detailed technical drawings that our team uses to bring your space to life. At Truspace we believe every Toronto business should have a work environment that fits their unique needs. That is why we approach every project we take on in a unique way based on the needs of your business. At Truspace we have a highly skilled team of experienced designers and project managers that have built Toronto design builds for manufacturing, industrial, ICT, accounting, IT, legal and many other professional businesses both big and small. 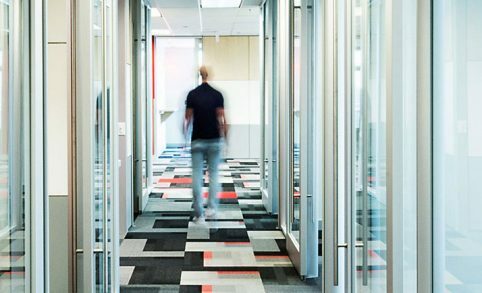 By combining our years of design build experience along with the results of our in-depth understanding of your business and culture, we can realize the full potential of your workplace.